* Please Note: The fireplace's Middle Width must be at least 24.25 Inches and the Depth must be at least 13.5 Inches for this gas log set to fit. You can calculate the middle width of your firebox by measuring the width (left to right) approximately half way back in the firebox. If you have any questions, please contact our customer service department and we will be happy to assist you in finding the perfect size gas log set. If you're looking for that touch of warmth and coziness to add to your fireplace, the EverWarm Palmetto Oak Ventless Log Sets will do just that. With a clean burning heater that requires no outside venting, there will be no loss of heat through a vent or up a chimney, increasing the efficiency of your fireplace. Having been tested and approved to ANSI Z21.11.2 standard for unvented heaters, you can rest easy knowing this is a safe and reliable unit. The burner for this set has a pilot with an Oxygen Depletion Sensing (ODS) safety shutoff system, a required feature for vent-free room heaters. This feature ensures that the heat will shut off if there is not enough fresh air in the room. This set has a piezo ignitor and requires no matches, batteries, or other sources to light the burner. 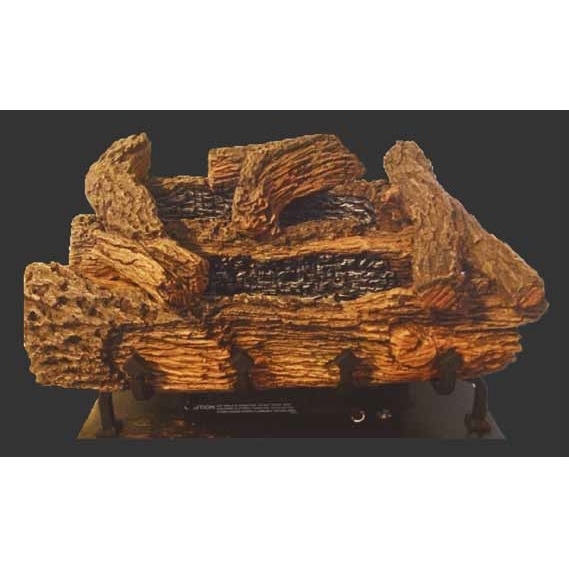 The beautiful and realistic looking Palmetto Oak logs from EverWarm will heat up your home night after night for years to come! does this set have a thermostat or is it on high all the time? No that set is manual so no thermostat can be installed. It would need to be a pilot set to have a thermostat. Does this item come with the grate shown? Yes, this log set will indeed include the grate shown in the product photo. What material are the logs made out of? These logs are made of refractory cement. What is the exact depth (front to rear) of the black base on this EverWarm 24" Palmetto Oak Ventless propane gas log set with manual controls? Also, how much does the grate protrude from the base? Per the manufacturer, the depth of the base is 8-1/2" and the grate projects out 2-5/8" from the front of the base. 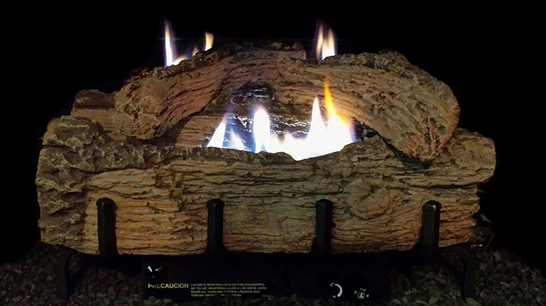 Great Value on Gas Logs! This was our first time shopping with eFireplaceStore...it was a great experience! The website is easy to navigate, check-out was straight forward, and our logs arrived faster than expected. Shipping boxes protected all of the parts with assembly taking no time at all. 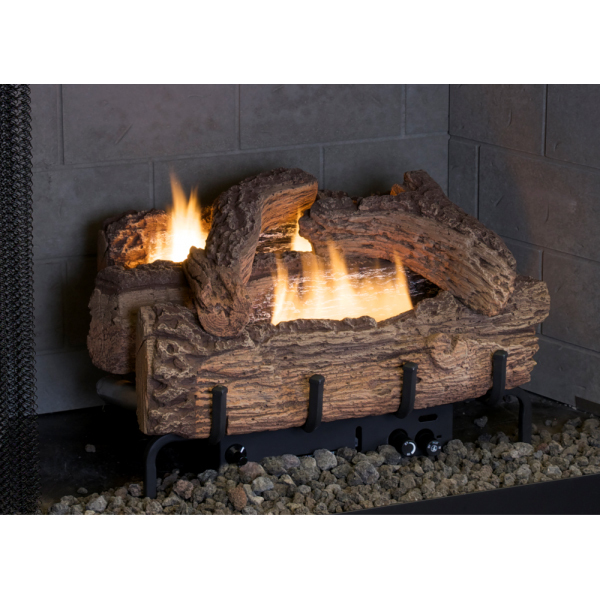 We are very satisfied and highly recommend eFireplaceStore.